can I play three different customized game quiz in a experience? or could there be some interference? 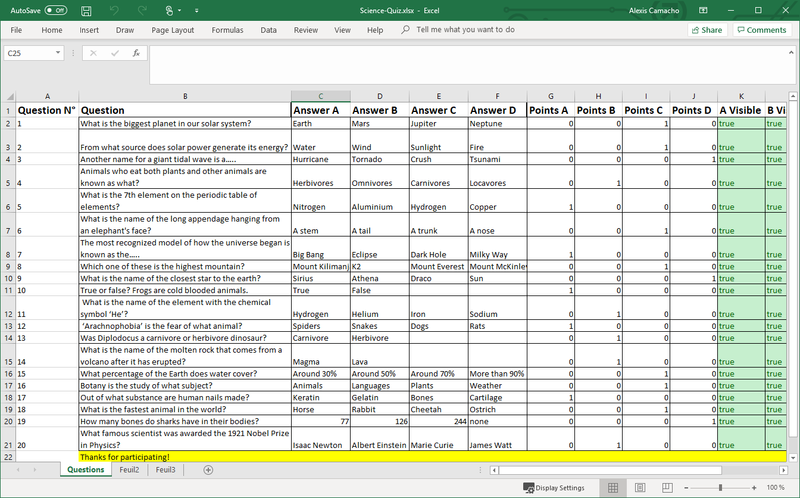 You can have another (or 2, or more) Worksheets in that Excel file and use them for others Quiz in the same Experience.